Dog Site: Will You Be a Master to your dog? 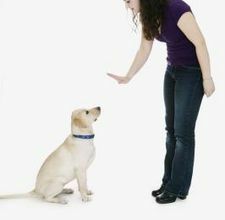 Will You Be a Master to your dog? The Dog is an animal, which most people want to have and keep in their house, but they forget is, what a dog requires. A dog that will do his best to make you happy and smile. He will not prejudge you on your mistakes, he will be your unconditional friend, will play as long as you wish. He will sleep by your feet and protect you, he will only enjoy spending time with you because you are the one who gives him shelter, you provide him food and attend to him whenever he gets sick. The question that arises is are you ready for spending your next 10 to 15 years with a dog? This is only how your dog will live long are you ready to afford the added expensive of your dog? These are the questions, which should be answered by every person, who is planning to have a dog, because when you decide to have a dog, then it becomes a life time commitment and you should not treat him like old furniture that you can throw away when you get bored. So now that you are going to get a dog and prepared to accept the truth that the dogs are not humans and that they cannot understand things by themselves you should spend some time on it to make your dog a little more balanced. You have to think hard and ask yourself the the question, are you prepared for the responsibility of owning a dog? Do you know the psychology of dogs? Do you know what makes a dog tick and what they intellectually need as a canine animal. The decision to have a dog needs to be carefully thought out, do you have sufficient time to take care of an animal you are getting, are you prepared to walk with them every day and take them to exercise, make them understand between good and bad because it needs time and if you have the time only then can you be able to do that. So if your answer to all these questions is yes then first do your home work, research the different kinds of dog breeds available, try to have some knowledge about their physiology and decide what you actually need to do and how you need to go about it.